Because of the S600's versatility, it can meet the diver's needs as frequently as the diver changes dive sites. The S600 valve housing is constructed of a chrome-plated brass and techno-polymer. The S600 has a linear air-balancing valve, and a top-notch air-balancing system. This regulator's air-balanced linear-flow valve allows the diver to use less energy while breathing underwater; it makes breathing during a dive as simple as well, breathing in and out! 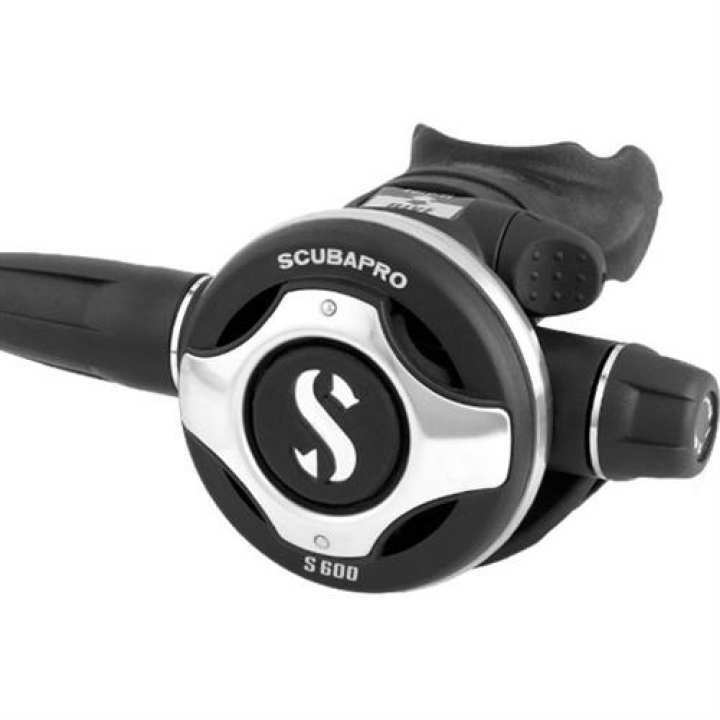 The S600 air balanced high performance second stage, is Scubapro's performer. The balanced flow valve provides constant & effortless air flow. Regulator has a diver adjustable inhalation control that enables personal adjustment of breathing effort. Diver adjustable Venturi Initiated Vacuum Assist (VIVA) dive/pre-dive control switch and extra high flow exhaust valve account for easy inhale & exhale. Scubapro uses a comfortable orthodontic mouthpiece on every second stage to reduce jaw fatigue and gum irritation. It was developed by dentists and dental laboratories and lasts longer than any other mouthpiece, because only a minimum effort is needed to hold it comfortably in place. The S600 weighs 6.8 oz. (193 g).